What I stated in my previous post holds true: I am still playing catch-up since my daughter’s wedding, and I continue to burst out in restaurant-related print. Here’s the next batch. I am still not current. Consider yourself warned. Heaven knows, there’s a dearth of good Thai restaurants in the Princeton area. Check out my review of newbie Ricky’s Thai, from the May issue of the Montgomery News. 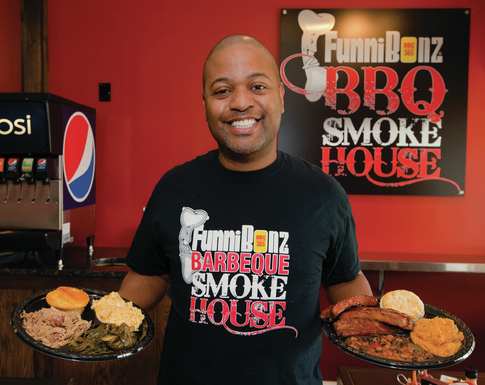 Jim Barbour, the originator of the highly successful line of FunniBonz barbecue sauces, opened his first restaurant, the small, casual storefront FunniBonz BBQ Smokehouse in Robbinsville, in December 2013. 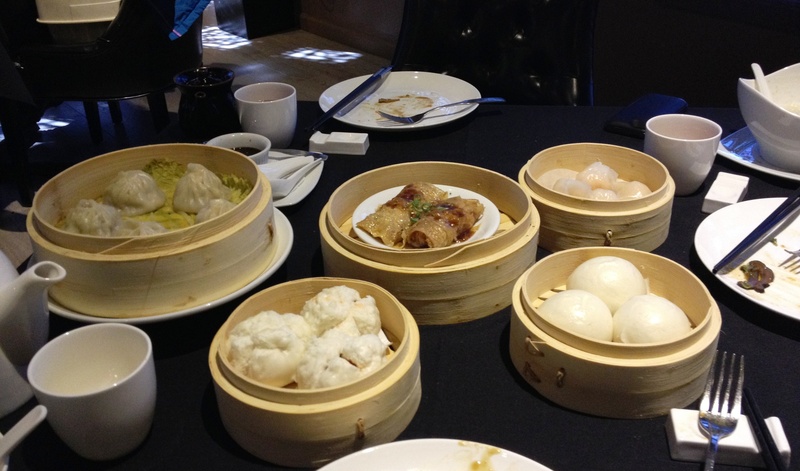 I’ve previously posted about Peony Pavilion, Shao’s Asian fusion restaurant that opened late last year on Farber Road, just off Route 1: reviewing it for the Montgomery News & blogging here about a dim sum lunch I later enjoyed. And I’ve long been a fan of the traditional Szechuan House on Nottingham Way, which Shao took over in 2010. Although there are already several fine coffeehouses downtown – Small World and Rojo’s to name just two – Cafe Vienna, which opened on April 26, sets itself apart by offering the beverages and sweet treats of a traditional Wiener Kaffehaus, including Sacher torte. It comes by them honestly: proprietor Anita Waldenberger is an Austrian native and many of the recipes are old family recipes. I did a quick reconnoiter on Thursday afternoon. 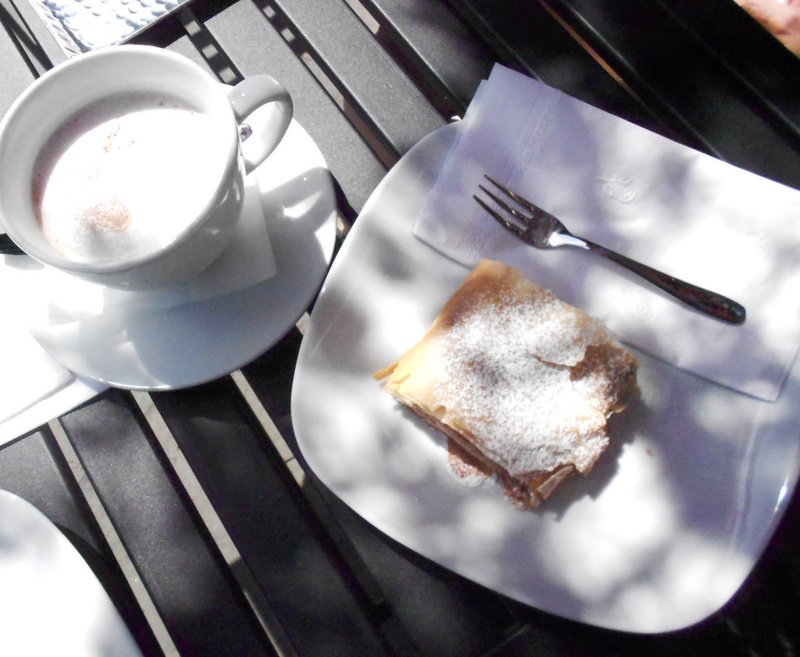 Sitting out on Nassau Street during the balmy post-deluge weather, my Jause for Kaffee und Kutchen consisted of a fine apple strudel and cafe mocha (hot chocolate with a shot of espresso). Clearly, more research is warranted. This entry was posted in Favorite Finds, Interviews, Restaurants and tagged Anita Waldenberger, Cafe Vienna, FunniBonz, Jim Barbour, Lisa Shao, Montgomery NJ restaurant, Peony Pavilion restaurant, Princeton coffee house, Ricky's Thai, Robbinsville Advance, Robbinsville barbecue restaurant, Szechuan House, US 1 newspaper. Bookmark the permalink. Pat, you’re amazing, returning to the fray after being in that very different country known as “my daughter’s wedding.” We’re lost without your perspective and your taste, but we also grant permission for the perfect pacing of your return. Carolyn, who is also attempting to return after moving from Princeton to Lawrenceville. (and will need some good restaurants)!